Metro Denver home prices up 10 percent from previous year!! 10 percent increase from a year ago is third largest in U.S. Home Sellers are Raking it In…Buyer’s are planning on the ride to Last! The Real Deal – No Gimmicks! Metro Denver and Colorado real estate has never been hotter! There are still plenty of opportunities out there. Buy a foreclosure or bank REPO for pennies on the dollar! Get that trophy home you’ve been eyeing and move on up to where really want to be. I’ve listed and sold over 300 REO properties, working directly with the Asset Managers of major banks to arrive at a price that the public agrees is realistic. 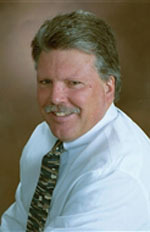 I’ve worked with SHORT SALES, helping folks preserve their credit and get out from underneath their upside down homes. I’ve worked with Corporate Transferrees RELOCATING them to the Denver Metro Area, and showing them the magic that the Mile High City really has to offer. With interest rates below 3.5% and prices that are now much more realistic than they were 3 years ago, NOW IS THE TIME TO BUY!! Welcome to your one-stop source for real estate services covering the Arvada, Broomfield, Centennial, Conifer, Denver, Evergreen, Golden,Highlands Ranch, Morrison,Lakewood, Littleton, and Wheat Ridge areas. Real estate is one of the most exciting investments one can make, and it should be a fun and rewarding experience. Here you’ll find everything you’ll need to buy or sell a home, as well as learn about the market value of homes you may own in the area. It is my goal to provide you with superior service at all times, so please tell me more about you! 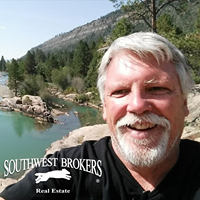 If you’re relocating to the Denver Area, put my 20 years of solid Denver Area Real Estate Experience to work for you today! Click HERE to Learn more about Short Sales!! BUY A HUD HOME FOR $100 DOWN! I hold the ABR designation; (Accredited Buyer Representative). I also hold the CNE designation; (Certified Negotiation Expert). I’m a BUYER BROKER, LOOKING OUT FOR THEIR INTERESTS… THAT’S HUGE!!! Now that the tax credit is gone, many people are thinking that their ship has sailed on. Nothing can be further from the truth. With interest rates approaching 50 year lows, the average home buyer can save 3, 4, even 5 times the original amount of the tax credit ~ with total savings of $40,000 + over the life of the loan! While there is blood in the streets, there are profits to be made. The smart buyer buys when the supply exceeds the demand. I work with many investors, and am am an investor myself. I can relate to their mode of thinking…black and white. No emotion. The numbers just have to work. On the other hand, when I’m working with someone on a normal residential purchase, the bottom line is, the shoe has to fit! I’ll create a custom home search for you based on your specific parameters, and keep you informed as to market conditions. As soon as a house that matches your specific parameters becomes available, you’ll be instantly notified via email and we can schedule a showing! Many investors are flocking to Denver to scoop up the REO’s, Short Sales, Foreclosures, and HUD homes that are becoming available. I’ve been selling HUD homes since my 1st year in real estate, and now they brought back the $100 down program! I’ve been very busy showing new families these homes. It’s fun and exciting what I do, everybody has a story to tell. Also, I’m experienced in corporate relocation, helping over 200 families over the years relocate to the Denver Metro Area.